Henk Rogers, founder of the renewable energy non-profit organization Blue Planet Foundation, believes that hydrogen fuel will be crucial part of the clean energy industry in Hawaii. The Blue Planet Foundation has played a major role in promoting clean energy throughout the state and the organization has taken a strong interest in clean transportation. According to Rogers, hydrogen will become a very prominent force in the Hawaiian industry, especially as more automakers begin to release fuel cell vehicles. Fuel cell vehicles make use of hydrogen in order to operate. These vehicles are equipped with fuel cell systems that generate electrical power but produce no harmful emissions. As such, they have become a very attractive prospect for the auto industry. 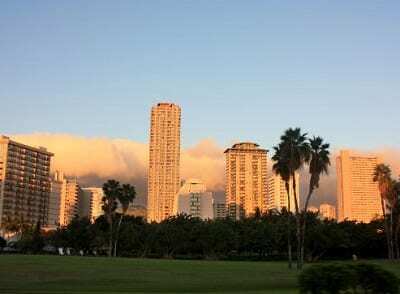 In Hawaii, clean transportation has gotten off to a slow start, but the state is becoming a prominent test market for fuel cell vehicles and a hydrogen infrastructure is beginning to take form in the state. Rogers has so much faith in the capabilities of hydrogen fuel that he has enough hydrogen stored at his Puu Waawaa ranch in Hawaii to generate as much as four days worth of electricity. The ranch would be completely independent of the state’s energy grid during that time. Fuel cells are not only used for transportation and they can serve as standalone energy systems that can provide electricity to a residence or business. Fuel cells may become a prominent part of the Hawaiian renewable energy industry, but it could take several years before this becomes the case. Fuel cells are still quite expensive when compared to others types of renewable energy systems. There are many improvements being made to fuel cell technology to make these energy systems more efficient and less expensive, but these advancements have yet to be commercialized in any significant fashion.